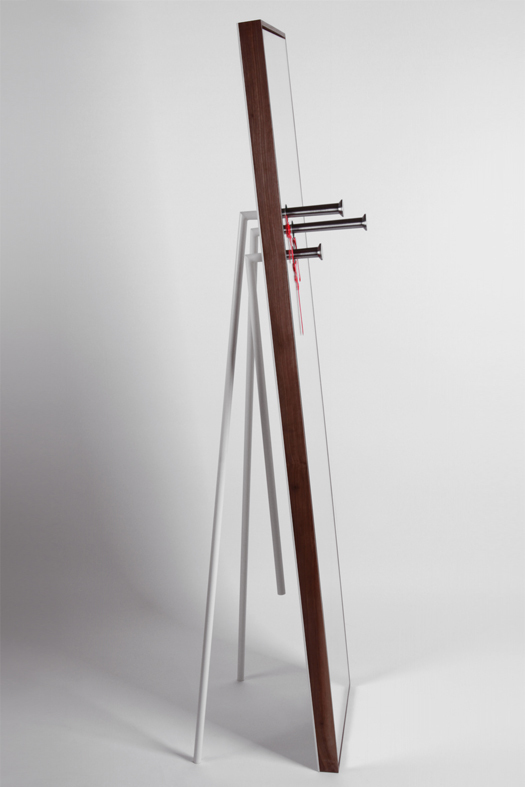 this is the aphorism behind the concept of BLEEDING SOUL, The philosophical and dramatic perception is, as if somebody’s revenge is recurring toward them since the mirror is nothing but their own reflection, and so they get hurt deep in the heart. 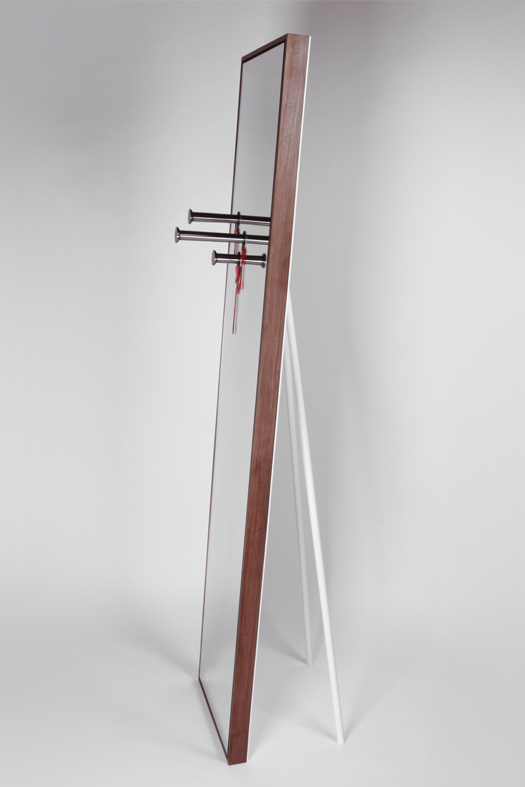 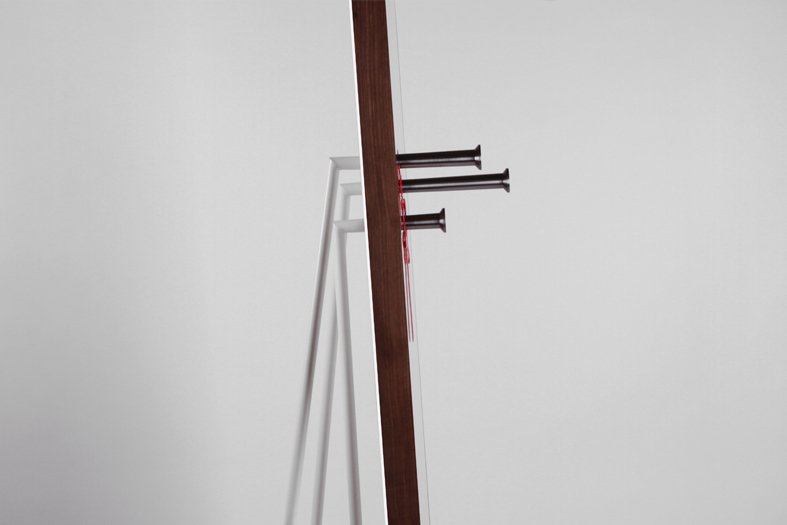 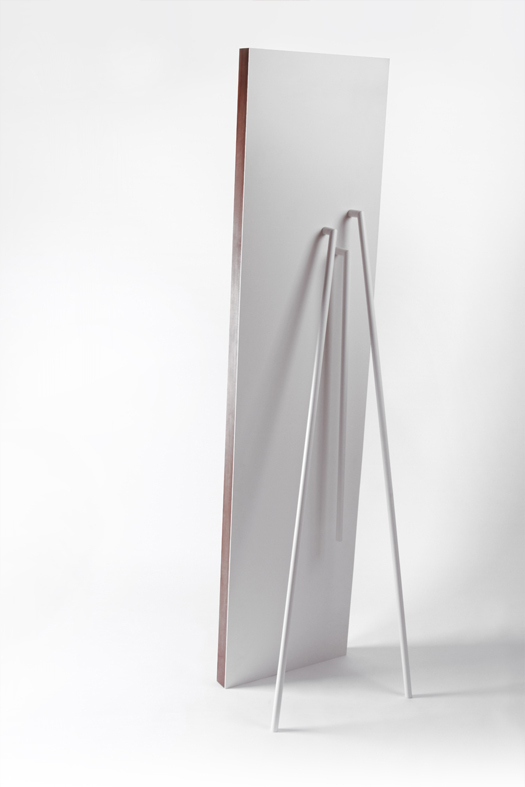 For the architectural conception and the functionality, “bleeding soul” is a rectangular freestanding mirror made of waxed finished walnut wooden frame with 3 rough metallic nails turned to give the desired shape in this case; an augmented nail size .altogether engraved on the left side of the mirror used as coat hangers, underneath of each nail a removable drop of blood made of resin on a magnetic metallic sheet emphasizing the main idea. 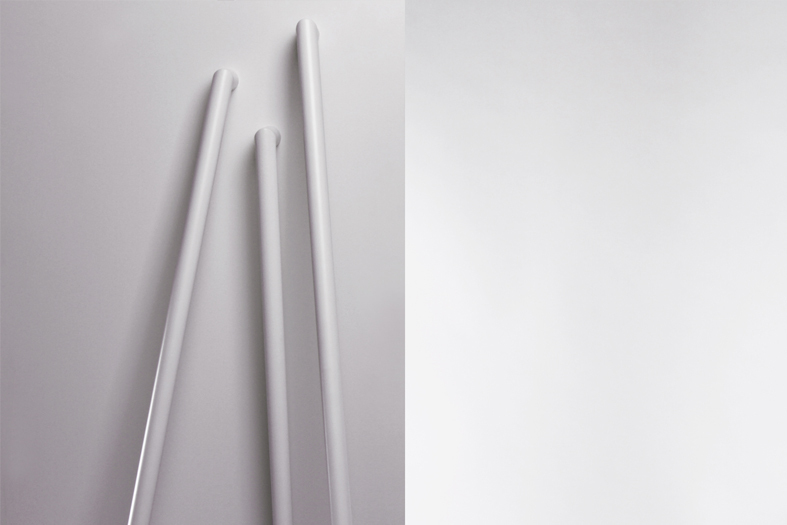 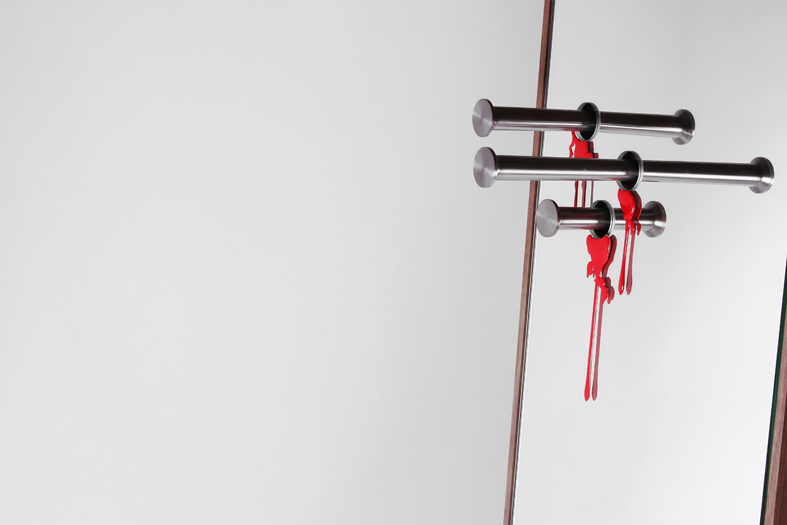 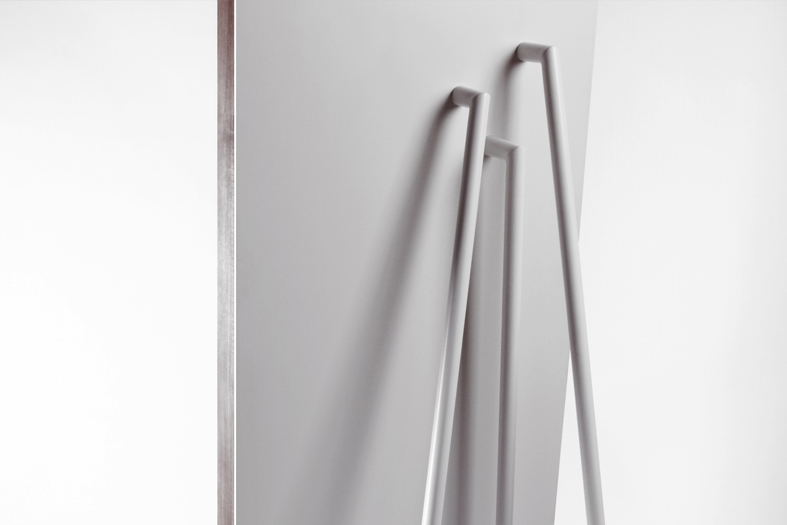 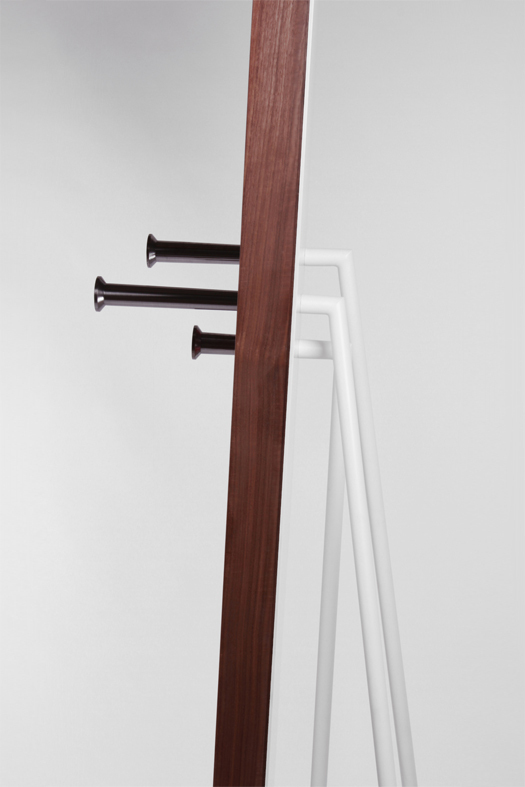 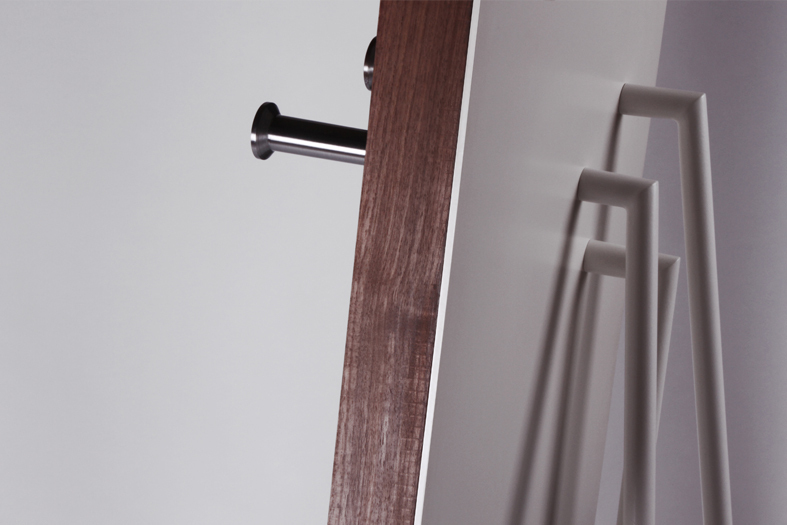 On the back side of the product, the nails goes through a white lacquered metal panel and become united as one entity creating the tripod for the stability of the design.